superdumb supervillain: Leggo My Eggo! They can be cooked in the oven or heated in the microwave for a minute if you're in a hurry; the paper tray has a thermal finish that keeps it from getting too soggy. I thought it tasted better cooked in the oven, although I'm not sure it would be an everyday thing for us since we don't have a toaster oven and it seems wasteful to heat up the big oven for such a small item. I cut it into wedges and garnished with more blueberries for the kiddos. 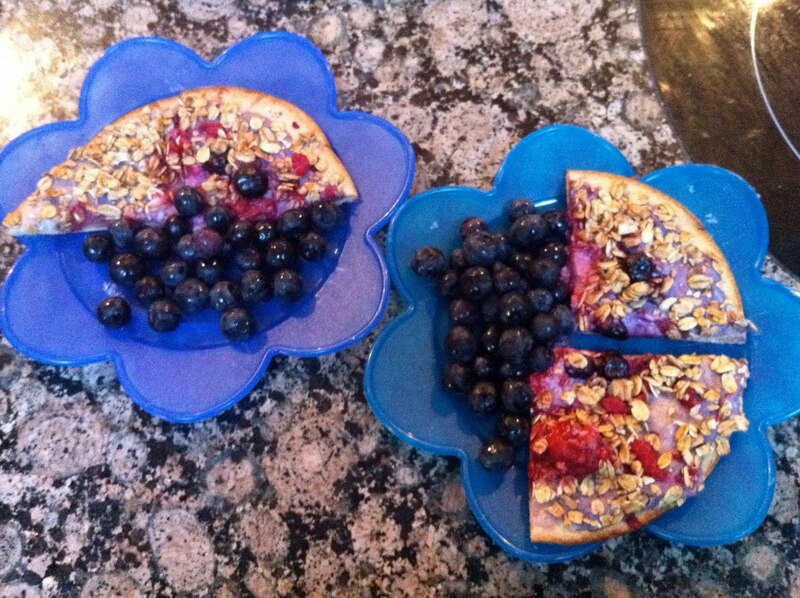 The kids approved of the cream cheese and fruit but were skeptical of the granola. I thought it tasted pretty good and made a welcome change to our everyday cereal or bagel routine. 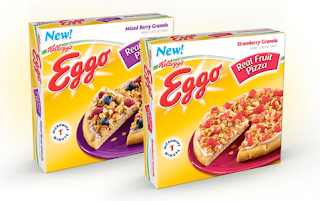 Disclosure: I wrote this review while participating in a blog tour campaign by Mom Central on behalf of Eggo Real Fruit Pizza and received a sample of the product and a $20 Amazon gift certificate to facilitate my review.